What do you do when you've had an accident? it will be towed to SGI's Commercial Claims Centre where an estimate of repairs will be completed. 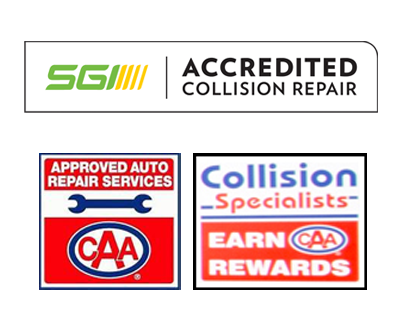 The adjuster will ask you which repair shop you would like your repairs completed at and they will arrange to have your vehicle towed to the repair shop of your choice. Come and see A & B Autobody's friendly, courteous staff. We are located at 1650 Winnipeg St. Our office hours are Monday to Friday 8:00 a.m. to 5:00 p.m.